Are you worried that robots and machines may one day take over the role of doctors and nurses in hospitals? It’s a very real fear of many, but it’s unlikely to happen. 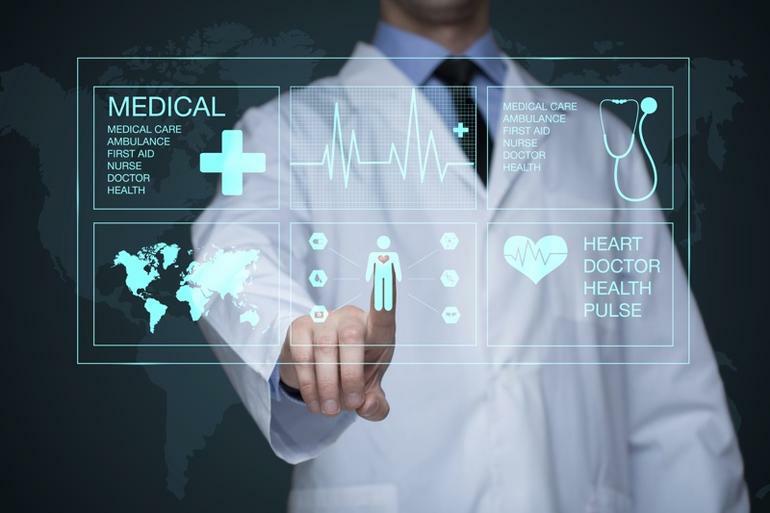 Anyone who has studied a masters in healthcare informatics will be fully aware of how much healthcare technology has progressed over the years, but these technological advances have actually aided healthcare staff as opposed to making them redundant. Let’s take a look at some of them. Augmented reality is one of the most exciting things happening in healthcare at the moment. It helps students prepare better for real life situations, without losing touch with reality (like virtual reality). One healthcare company, Medisights Tech, is also currently trialing a software that is able to use augmented reality to create 3D reconstructions of tumors. The technology basically gives the surgeon an x-ray view of the patient without them needing to expose the patient to radiation. This will be really exciting should it be rolled out. Most of us have heard of the Fitbit and Apple Watch, but healthcare technology is able to do much more than measure your heart rate and track how many calories you are burning. There are now healthcare wearables that can encourage meditation, help monitor diabetes, and measure how well you are sleeping. A lot of online MSHI degree students are choosing to focus on this area of study, and there are also a lot of startups being incorporated in this sector as well. The process of developing a drug and getting it out into the market is currently long and drawn out, as well as expensive. However, technology could well change all of that. Technology is not only helping to improve the efficiency of organizational procedures, it is also making use of artificial intelligence to work out whether the drug is safe for humans. While fully simulated clinical trials are not currently possible, it is believed that they won’t be too far away in the future. Should this happen, the length of time drug development takes will decrease significantly. Another exciting field in technology at the moment is robotics. The latest devices have been instrumental in helping patients who have had a stroke or have been paralyzed to learn to walk again. Other devices are helping medical staff to lift patients safely, while others are being developed to help treat mental health issues, and remind patients to take their medication. There are a lot of healthcare startups operating in the robotics industry, and lots of steps are being made to make things better for both healthcare staff and their patients. We are currently living in a technological revolution, and just looking back over the last 20 years, we have seen so many developments that it can be hard to keep track. Technology has had an immense impact on the healthcare sector, and things will only continue to improve over the following years.